The Royal Ballet welcomes new dancers and offers best wishes to those leaving in the new Season. 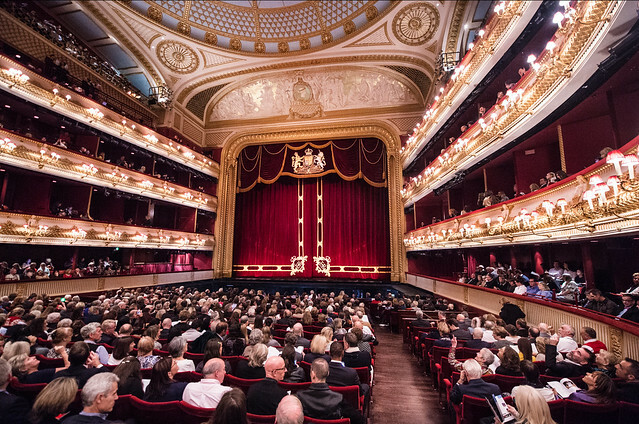 Today, The Royal Ballet announces leavers and joiners for the 2018/19 season. As previously announced, Cesar Corrales joins The Royal Ballet as First Soloist. Former Royal Ballet School student Joseph Aumeer also joins the Company as an Artist. For the 2018/19 Season The Royal Ballet welcomes seven dancers to the Aud Jebsen Young Dancers Programme: Harris Bell, Harrison Lee, Taisuke Nakao, Katherina Nikelski, Amelia Townsend and Hang Yu from The Royal Ballet School and Lania Atkins from the Dutch National Ballet Academy. Amelia Palmiero continues as an Aud Jebsen Young Dancer. Davide Loricchio joins as the Prix de Lausanne dancer for the 2018/19 Season. Soloist Fernando Montaño will take leave of absence during the 2018/19 Season to undertake various projects and First Artist Leticia Stock will also take leave of absence during the 2018/19 Season to dance with the Joffrey Ballet. Soloist Laura McCulloch retired earlier in 2018 after 17 years with The Royal Ballet. She trained at The Royal Ballet Upper School and graduated into the Company in 2001, promoted to First Artist in 2005 and Soloist in 2008. With the Company her repertory included Mitzi Caspar (Mayerling), Myrtha (Giselle), Lilac Fairy (The Sleeping Beauty), Helena (The Dream) and roles in Jewels and Elite Syncopations. She also created several roles for the Company, including in Christopher Bruce’s Three Songs – Two Voices and Alastair Marriott’s Sensorium. The Royal Ballet has also announced next Season's promotions, in which Matthew Ball was promoted to Principal, the highest rank in the Company. When will see Cesar Corrales in cast lists please?? As Solor to Osipova's Nikiya in La bayadere in November. To Laura McCulloch, goodbye and thank you. In addition to the roles mentioned (one of the funniest Alaskan Rag girls ever), I especially recall her gracious Lady Mary Lygon. To Fernando Montano and Leticia Stock - good luck for your year's leave of absence, but please don't be tempted to stay away too long - we'll miss you! To all the newcomers - WELCOME! Welcome to our new Students and every good wish for our”Leavers “ for their future and enormous Thanks for all the wonderful enjoyment they have given us. Congratulations Cesar Corrales in your uprising career! Mexico Cuba & NBS proud!!! Congratulations to all the new dancers for the 2018/19 season and to Lania Aitkens as an Aud Jensen Young dancer. What an incredible achievement. Will really miss Leticia and Fernando. Please don’t stay away too long! Congratulations Sae Maeda. I am looking forward to seeing your performance in Japan.